The benefits system is designed to help us through difficult times. If you’ve been made redundant, you will usually qualify for assistance of some kind. When you have just been made redundant, you will normally be entitled to government benefits. 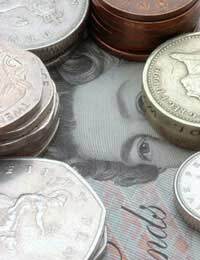 However, if you have high savings, or are in a partnership with someone with high enough savings or income, and have not made enough National Insurance Contributions to qualify for contribution-based Jobseeker’s Allowance, you may find that your entitlements are limited or perhaps even that you have none. Apart from Jobseeker’s Allowance, Council Tax Benefit, Housing Benefit and Tax Credit are often paid to those on low incomes. If you’re not sure of what your entitlements are, you can go to your local Jobcentre and speak to someone there who will advise you. There are also websites which will give you an indication of which benefits you might be eligible for. Once you’ve identified a benefit you think you might be entitled to, you can get application forms for it from the Jobcentre. In some cases, you can also apply online. Most state benefits are paid only from the time you claim them. You cannot usually backdate a claim without offering a valid explanation of why you did not make the claim earlier. In the old days, benefits were typically collected in person at the Post Office. Nowadays, they are usually paid directly into your bank account. If this is not possible or not convenient, in some cases, it is possible for you to get a cheque instead. Most state benefits are means-tested. What this means is that your income, your savings and your partner’s income is taken into account when determining your eligibility. This often proves to be an issue for those who have just experienced redundancy because they usually receive a lump sum payment from their former employers. If this sum is large enough, and is retained as savings, it will affect your eligibility to receive any means-tested benefit and may even mean that you have not entitled to receive it at all. Some benefits are not means-tested, however. Contribution-based Jobseeker's allowance is one of the most important of these. You will receive contribution-based Jobseeker's allowance if you have made enough National Insurance Contributions. Many people are under the impression that you need to be unemployed before you can receive benefits. This is not so. In fact, one benefit, called Working Tax Credit, is specifically designed for those who are working but whose earnings are low. This is a can be a good option for you if you receive an offer of work but the wages you would receive are so low that, economically, it is barely worth doing. Of course, once you are in work, it is always easier to find a better job than if you are not working at all, so Working Tax Credit can be a useful resource to help you get back in the game. Child Tax Credit is a similar benefit paid to those who take care of children, whether they are in work or not.Council Tax Benefit is also commonly available to those in work. It potentially gives you a rebate on the amount of council tax you pay, depending on the banding of your home and your overall household income level. The benefits system is rather complex and can be intimidating to those who need to get involved with it for the first time following a redundancy. If necessary, the Jobcentre staff will help you understand what your entitlements are and make a claim for them. I am due to be made redundant on 13 September after 12 years and 10 months in my current job. I will be 60 years old 3 days after this. I have been told I will receive just over £7000 as my redundancy package, months notice etc. We have very little in the way of savings about £8000 in all. My question is will I be eligible for benefits as my husband works and earns about £2600 a month after tax? We wont manage on this alone because of mortgage that has another 6 years to run plus the usual other bills. What are my options please? My husband has just been told that as of next month august 31st he will be redundant, he wants to set up on his own will we be entitled to any help I am scared . I have just taken redundancy from my job of ten years have savings of less than 6,000 how long do I have to wait before I can claim job seekers allowance. You can claim Jobseekers Allowance as soon as you finish work. If you have been made redundant and clear your debts. How does this affect your claim for benefits? Much depends on what benefits you are trying to claim. If you wish to claim Jobseekers Allowance, then how you use your redundancy money may not affect your right to claim. However, if you wish to claim benefits such as Universal Credit, then you would have to go through a review process to assess the reasons why you no longer have the capital. Deprivation of capital is when you knowingly reduce or transfer elsewhere your savings and other capital to get, or increase your Universal Credit. This may be before making a claim or during an existing claim. Universal Credit will look at the evidence to decide if you have reduced your savings and other capital, by how much and why you did this. You will be treated as still having the capital if it is decided that you did this to get, or increase your Universal Credit. Please see Universal Credit link here. If you have been made redundant and clear your debts . How does this affect your claim for benefits? My savings are now under 16000. They were stopped last year because I was over 16000. How do I go about re-applying.I am on disability. Thanks.Hope someone can help. Please see the Turn2Us website which via its calculator can check what benefits you will be eligible to, dependent upon your circumstances. Please see link here. I hope this helps. Hi I been made redundant for a company I been working for 10 years where I was working part-time , my husband currently unemploy we receiving child tax credit will that stay the same amountnow I no longer have a job ? @chris - I have included a CAB link herewhich should explain what you may be entitled to, more fully. I hope this helps.